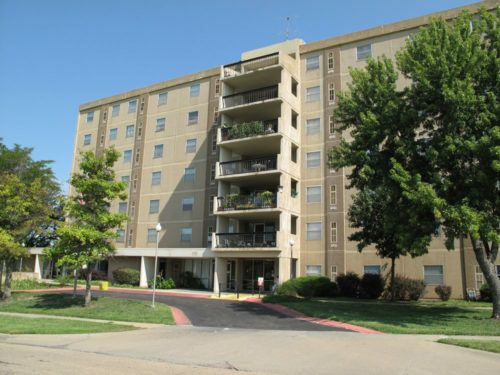 Plaza West is a seven story, all utilities paid, pet friendly community with a family-like feel. We offer a Community Activity Room with kitchen, vending machines, television, games, puzzles, and a computer. We also have an Activity Committee that hosts weekly bingo, holiday parties, Wednesday game nights, and a monthly breakfast. The public library also visits Plaza West once a month to assist our residents. As a special treat, we receive free roses every month from our local Dillions grocery store. Our well-trained Service Coordinator can assist those who need community assistance, such as Meals on Wheels. 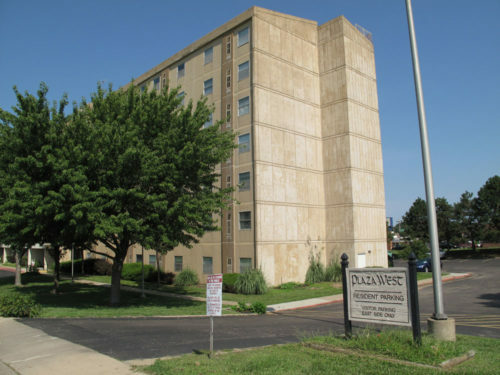 Plaza West has an on-site coin operated laundry facility located on the first floor. A grocery store, convenience store, and restaurants are all within walking distance. 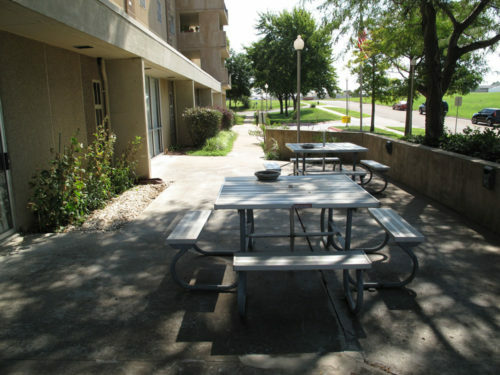 We provide resident parking, and we are located near the city bus route. Summer barbecues and the occasional roasting of S’mores are just a couple of the additional activities you will find going on around your new home!